I released my new product Keyword Funnel today. It is a tool to help Adwords advertisers improve the profitability of their Adwords campaigns. 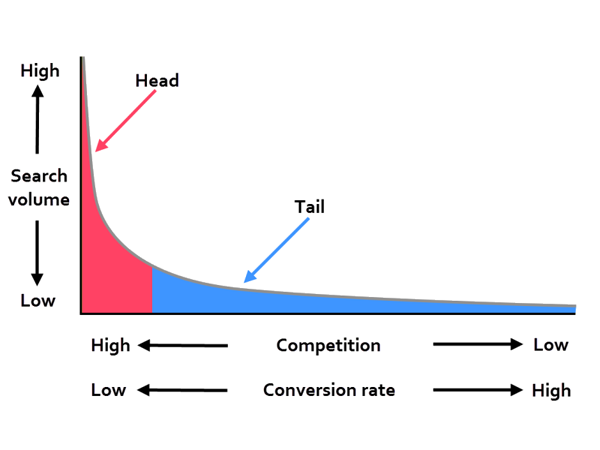 I have found the best way to get a decent volume of affordable conversions from Google Adwords is to use a ‘long tail’ strategy. For my Perfect Table Plan product there are a few ‘head’ keyword phrases that have high search volumes, such as “table plan” and “seating arrangement”. But these aren’t very well targeted (“table plan” might have been typed in by someone who wants drawing plans to make their own dining room table). Also lots of other people are bidding on these head phrases, pushing the bid prices up. This combination of poor targeting and high click prices makes it hard to make a profit on head keywords. So I prefer to concentrate on ‘tail’ terms such as “table plan software mac” and “wedding seating arrangements program”. These are much better targeted, so convert a lot better. The clicks are also cheaper because less people are bidding on them. However the search volumes are much lower, so you need a lot of these tail terms to get a reasonable amount of traffic. At least hundreds, and preferably thousands. Hence ‘long tail’. Sort out duplicate phrases, foreign characters, capitalization and other noise. Remove unwanted and negative keywords. Group keyword phrases into tightly focussed adgroups. Put the results in a form Adwords understands. I tried to use Excel for this. But, marvellous tool though it is, it really wasn’t up to the job. So I wrote my own tool. This worked very well, but it wasn’t a commercial quality product. So I started again, from scratch 6 months ago. Keyword Funnel is the result. Keyword Funnel allows you to add hundreds of keywords to new or existing Adwords campaigns in minutes, rather than hours. This makes long tail Adwords campaigns with hundreds or thousands of keywords a much more realistic proposition. It also allows you to set up new campaigns in a fraction of the time. Keyword Funnel is available for Windows and Mac. It is priced at a one-time fee of just $49 (up to 2 Adwords accounts) or $99 (unlimited Adwords accounts). You can download a free trial from the website and it comes with a 60-day money back guarantee. The website is currently a little unpolished, but the software is well tested and robust. Any feedback is welcome. This entry was posted in adwords, marketing, software and tagged adwords, keywords, long tail, mac, ppc, software, tool, Windows on 5 March 2014 by Andy Brice. Thank you for the advice. Having a software program that can do the work for you in regards to long tail searches is a wonderful asset. Good price too.